In recent decades music and the arts in general have been suffused with passion for all things Celtic. There’s gold in them there hills: bagpipes wail with symphony orchestras, and small girls step dance on stages across America. Jeanette Sorrell and her Cleveland-based ensemble Apollo’s Fire have jumped on the bandwagon, but fortunately more thoughtfully and tastefully than, for example, the endless round of offerings from PBS. The ancient world of the Celts (who originally made their way west from central Europe) encompassed not only Scotland and Ireland but also Wales and parts of England and France. 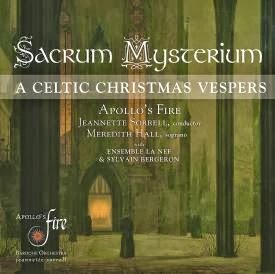 This recording, Sacrum Mysterium: A Celtic Christmas Vespers, draws on this regional diversity, as well as on the mix of pre-Christian and churchly traditions that still exists in countries with deeply held Celtic memory. 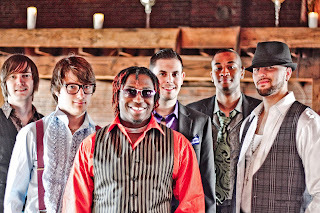 One of Sorrell’s strengths is assembling mighty bands of talented guest artists. 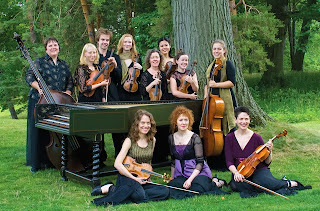 Here Apollo’s Fire and Apollo’s Singers are supported by Ensemble La Nef from Montreal (Sylvain Bergeron, director), who play various early and Celtic instruments, as well as northeast Ohio’s hammered dulcimer superstar Tina Bergmann and others. The result is an unfailingly colorful procession of plainchant and other liturgical pieces, carols, lullabies and airs. The vocal music is punctuated, especially toward the end of the program, by a few Irish jigs and reels and the lovely instrumental works of 18th-century harper Turlough O’Carolan. There are some original arrangements including two Alleluias by Sorrell. These contrast nicely with the chant, although the second jars a bit with its Hollywood ending. A creative touch in the ever-open and flexible spirit of Celtic music is the pairing of the familiar “What Child is This” text to “My Lagan Love”, one of the most haunting and hard-core modal of Irish airs. Much of the vocal work on the recording falls to soprano Meredith Hall, who sings stylishly and has impressive credentials with leading early music groups. However given the talent in Apollo’s Singers, one wishes for more chances to hear the homegrown artists as well. This emphasis on the guest soloist is borne home in the DVD accompanying the recording, which sadly contains only a curtailed version of the concert. The video highlights chiefly and worshipfully, Hall’s solos and Sorrell’s energetic conducting, so that those wishing to see as well as hear the wonderful instrumental forces must hope to experience this concert live. 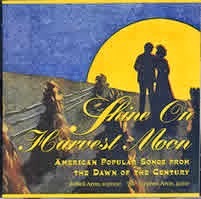 The audio disc is a pleasure, though, and for many listeners will become a holiday favorite. Performers: Apollo’s Fire, with Apollo’s Singers, Jeanette Sorrell (conductor), Meredith Hall (soprano), Jesse Blumberg (baritone), Amanda Powell (soprano), Ensemble La Nef & Sylvain Bergeron (director). Tracks: Oikan anyns Bethlehem (Manx Gaelic carol); Duan Nollaig (Scottish Gaelic carol); Deus in Adjutorium--Alleluia; Responsorium--Gloria Patri; Hymnus: Ist Confessor Domini; Alleluia; The Road to Lisdoonvarna (traditional Irish jig); Veni, Veni, Emmanuel (12th century carol); Nowell, Nowell, Tydings Trew (15th century carol); Noël Nouvelet (15th century French/Breton carol); Sussex Carol (On Christmas Night--traditional English); Come, My Children Dere (17th century Scottish carol); Wat Ye What I Got Yestreen (Skene MS, Scottish); Taladh Chriosda (Christ Child’s lullaby--Scottish Gaelic); Hodie, Christus Natus Est (Gregorian Antiphon to the Magnificat, Vespers for Christmas Day); Magnificat Anima Mea; Antiphon de Maria ad Vesperas; Benedicamus; Hymn: All Sons of Adam, Sing Nowell! ; What Child is This? (Tune, My Lagan Love, traditional Irish air); Usheg Veg Ruy (Manx Gaelic lullaby); O’Carolan’s Cup (Turlough O’Caroloan); O’Carolan’s Favorite Jib (Turlough O’Carolan); At Work on the Land (Tatter jack Walsh, arranged by Tina Bergmann and Jem Moore); The Seven Rejoyces of Mary (traditional Irish carol); Postlude--Christmas Eve (Irish reel). While we haven’t posted the usual monthly newsletter for the library, A Fistful of Music (it’s coming), we thought we might as well give you a peek at some of what’s in there. We are adding more than a dozen Northeast Ohio CDs each month, and we’ve reached the 800 mark. As usual, these are older ones we didn’t review. Rebekah Jean. Love May Be Real but It Ain’t Enough. 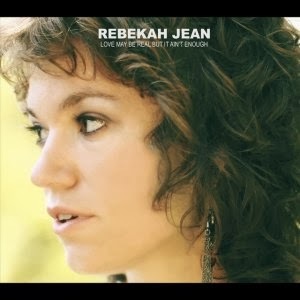 I first saw Rebekah Jean at the Raccoon County Music Festival in Burton, back in August. What I did not know (and what you wouldn’t know from her website biography), is that I met her before, but didn’t recognize the name or the big blonde hair. I won’t reveal her complete name (that’s her business), but I will mention that she is a Hiram College graduate, and therefore of considerable interest to the folks at this blog. She’s also a Northeast Ohio native from the Geauga County vicinity, with one foot in Appalachia and the other in the Cleveland music scene. Recorded in Akron with Bob Cesare, and with production by David Mayfield and some musical help from both him and Jessica Lea Mayfield, we are looking at a significant debut album. Lyrically, her songs are intelligent vignettes that capture moments of life, usually concerning love or loss of love, and finding oneself. The musicians are top-notch, and I wish I knew exactly who played on which songs, so I could acknowledge them. 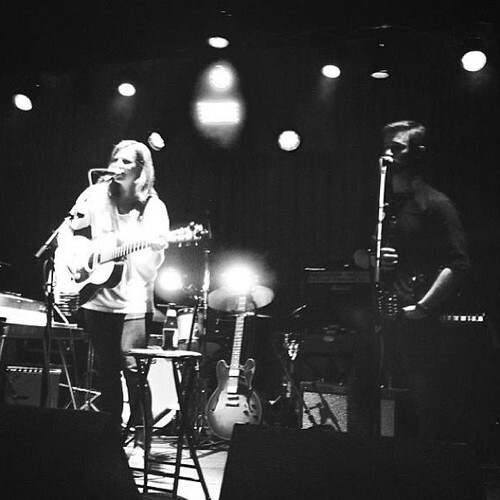 However, as good as they play, nothing tops Rebekah’s mesmerizing voice that simultaneously cries, scolds, haunts, and seduces. MissRebekah Jean is headed somewhere, but wherever that is, her musical abilities certainly won’t be holding her back. Get this album. She did put out an EP before this album, Ribbons and Pearls, back in 2010. Get that one too. She’s also playing around town, and you can catch her at the G.A.R. Hall in Peninsula on Sept. 27th, along with Brent Kirby. It should be a fantastic show, and I’m not just saying all this because she’s a Hiram alum. Performers: Rebekah Jean (vocals, guitars, Wurlitzer WX400 organ, Mellotron), Bob Cesare (drums, percussion), Paul Kovac (guitars), Matt Raum (violin), Jen Mauer (vocals, upright bass), Wes Langlois (pedal steel guitar, other guitars, whistling), Jessica Lea Mayfield (vocals), David Mayfield (vocals, guitars, Mellotron, banjo). Tracks: When I Break Your Heart, Cushion My World, Love I Had in Mind, Still Waters, The Devil Is, Big Green Shelter, Love May Be Real, but It Ain’t Enough, One Night Moon, Buy Me a Guitar, Best You Could Do, Bottom. Pop-rock with a tinge of folk and jangle is what we have here, in the second release from this occasional band (their last release was nearly a decade ago). The trio consists of all veteran performers. Alan Grandy has been around the scene for decades, formerly with Terrible Parade and Jehovah’s Waitresses. Jay Bentoff also worked with Jehovah’s Waitresses, and both he and Chris Solt have backed up Susan Weber. It’s just one big happy family, but do happy families make good music? In this case, yes. 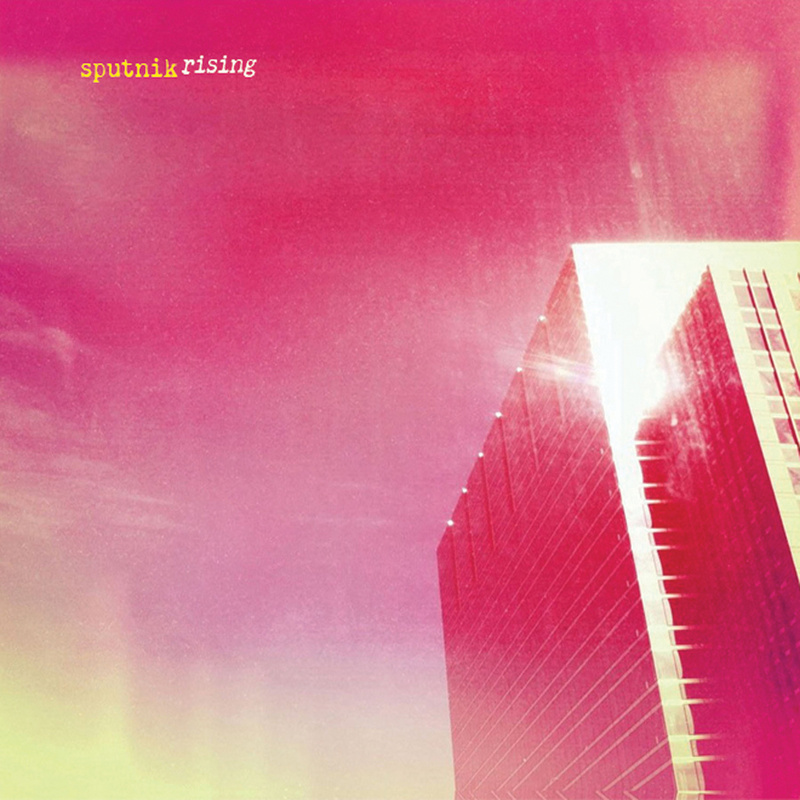 Sounding a bit like the Byrds, a bit like R.E.M., and occasionally like Marc Bolan (Grandy sometimes seems to have a British accent), Sputnik provides us with eleven very fine songs, ten of which were penned by Grandy himself. Curiously, it still all sounds like Cleveland. Musically, they are tight and impeccably dressed. The songs are well-structured and catchy, filled with hooks and intriguing lyrics, and may very well stick in your head like taffy. The album starts off a bit shakily for me, though, with “Solstice Song.” Grandy has a soft, fragile voice, one that can quaver and sometimes doesn’t sound ideal for certain kinds of songs. He’s great in rougher songs, like “Boiling Over,” or when singing with others. His voice is better suited to “Shine,” and “Keep Yr Heart at Home,” both slower tunes, but doesn’t seem up to “Dreaming Out Loud,” which is saved by some Moody Blues-like harmonies and excellent playing. Grandy puts his vocal qualities to greatest use when he moves into the higher registers, such as in “Last Man on Earth,” an eclectic piece with extended instrumental work and a slightly psychedelic atmosphere. When he gets into falsetto he sounds fantastic. This is my favorite tune on the album, and a real high point. I also really liked “See Me Now,” where Grandy comes out strong, and does some fine guitar soloing in the bridge. Further down the road, the harmonies in “Angel” are exquisite. “Midnight Rose” changes things up with a bit of country flavor in a Neil Young sort of way. “Boiling Over” is the hardest rocker here, the only one that gets above mid-tempo, and is another strong point on the album. In the last song, Grandy finds the right vocal register for a ballad-like tune, and makes it sound just right. My few minor issues do not detract from what is otherwise a fine album. But why the use of “yr?” It only saves a couple of letters. Performers: Alan Grandy (vocals, guitar), Chris Solt (drums, background vocals), Jay Bentoff (bass, background vocals). Tracks: Solstice Song, Shine, Dreaming Out Loud, Keep Yr Heart at Home, Last Man on Earth, Midnight Rose, Untitled 3, See Me Now, Angels, Boiling Over, Heaven is in Yr Heart. Winslow. Left of the Right Direction. 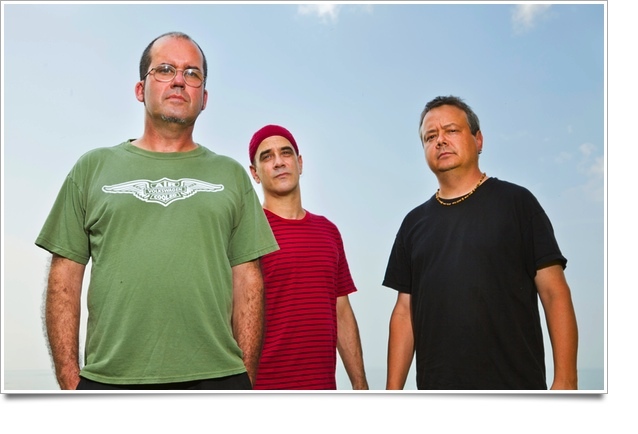 Winslow is a metal rock band from Cleveland, Ohio with some very fundamental jazz elements. They are an interesting band composed of several members including Maurice Martin on vocals, Charlie Trenta on guitar, Matt Tieman on Saxophone and Danny Kolliner on bass. Their drummer is Jesse Marquardt. 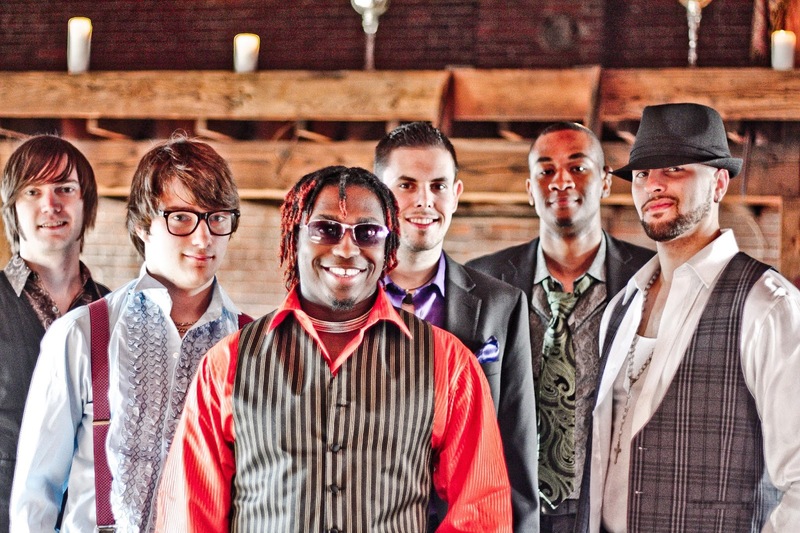 Winslow has headlined for bands such as Earth, Wind and Fire and OAR already, and has taken a step to become one of the rising acts out of the entire Midwest. Martin delivers powerful raspy soulful vocals and to me stand out as a key piece in the band. Trenta uses his improvisational skills and is technically a very sound musician along with Matt Tieman, who adds so much jazz influence to the group’s sound. He was nominated Best Cleveland Horn Player and really adds a unique instrumentation to the band. Drummer Jesse Marquardt plays harder on the set than anyone I’ve heard in some time. Finally Kolliner keeps the groove going with varying bass techniques completing the lineup. Their second album, Left of the Right Direction, is a great example of true talent and originality. It seems like there is just a lot of energy around this group making them a really fun band to listen to. On a track like “Nothin’s Easy” the saxophone gives the tune a great jazz feel. This song is really nice displaying the harmonic balance in the band’s vocals. I think that is the most intriguing part about the music is the combination of jazz, rock, soul, and funk. The versatility of Winslow stands out and will expand the possibilities of what they can accomplish in the studio now and in the future. A particular favorite track of mine is “Alone Tonight” because it has such an infectious groove featuring the guitar and saxophone providing strong additions to the musical arrangement. A song like “Stand” clearly incorporates driving metal/rock elements too, topped with a powerful guitar solo. “Clarity” is another song that I think is excellent in its own way because of the well written lyrics and the ability for the band to have different styles coming through at one time. I think this album is fantastic on so many levels. 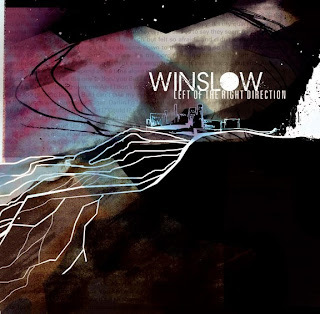 Winslow is a maturing band with so much talent and an ever important original quality to them. The band is currently on tour in Northeast Ohio in over the next few months and I would recommend going out to catch a show live. The lead vocals are superb but that can be said for all the harmonies and instrumental parts as well. Everything is grooving in time. I see Winslow doing something like Earth Wind & Fire or Chicago did with a horn section back in the 1970s. Winslow has just adapted the horns to fit a more modern rock and soul type of feel in their music. The band Winslow is definitely on the verge of something big with the versatility and creativity they have in their lineup. After listening Left of the Right Direction I know that Winslow is one of the most interesting groups I’ve heard in a long time. 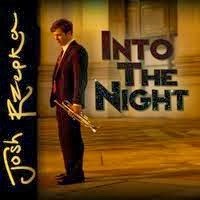 Personnel: Maurice Martin (vocals), Matt Tieman (saxophone), Charlie Trenta (guitar), Curtis Tate (keyboards, trumpet), Danny Kolliner (bass), Jesse Marquardt (drums). Tracks: Ain’t That a Shame, Alone Tonight, Nothin’s Easy, Quarter-Life, Stand Up, Everyday, Clarity, Mo’s Joint, Last Goodbye, The Change. Conya Doss is a very talented Cleveland, Ohio native who has picked up the name “The Queen of Indie Soul”. As an artist she has recorded and released several studio albums over the last decade. In 2007 her performances have earned her Female Vocalist of the Year and Best Female Vocalist awards for Soul tracks, BET J Virtual Awards and Ohio Hip-Hop Awards. “Reaching for The Stars” contains an infectious backbeat with a cool rhythm that carries throughout the track. Conya Doss sings in a very pretty vocal range. The song is rather repetitive and doesn’t seem complex but it definitely is a fun tune. “I Want It All” is a beautiful song that has some powerful emotion infused in the lyrics and overall delivery. The piano parts and harmonies are wonderful and showcase the vocal talent. This song features the falsetto range that is reminiscent of lots of 1990’s rhythm and blues music such as D’Angelo. The track “Paradise” sounds like a Stevie Wonder song or one from the Motown label in the 1970s. Conya is no doubt influenced by Stevie Wonder and it is evident in her singing style. I think that “Paradise” is one of my favorite songs on the album because it is simply a pretty track. It adds a good vibe to the album. This album contains mid tempo songs and slower ballads featuring several other great vocal artists. One song that demonstrates this style is “What About Me.” “What About Me” contains a harmony part and a response portion to the song which goes back and forth. The effect of singing the responses back and forth adds another layer to the musical quality of the song. “Don’t Change” is the main single from the album. This track featured a music video along with it. The message of this song is important dealing with loving yourself and really embracing individuality. It carries a message similar to Billy Joel’s “Just The Way You Are” and is themed on being true to yourself. The percussion section comes out in the tune “Letter” playing an instrumental role in the nature of the song. This tune is soft in nature, accentuated by the beats and carried on by the lighthearted vocals and soulful singing. One song that I particularly enjoyed was “Lost”, an interlude with classical and jazz elements making it a special tune. Overall, Conya Doss has a beautiful voice that changes in tone from track to track. She possesses a great deal of talent which is evident in her longevity as an artist. I appreciate and really connected with the positive messages that are in her songs. These uplifting messages are sure to relate to many people who listen to them as well. I think the album is a really nice piece of creative material that adds something to soul and rhythm and blues music. 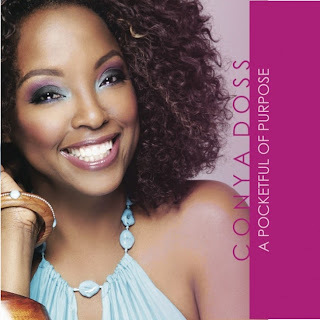 While the album “A Pocketful of Purpose” doesn’t deliver any huge hits or particularly stand out from a lot of other rhythm and blues albums it does possess a unique quality that every listener will be able to discover. Listening to this album should allow listeners to take something away from the songs as it relates to their own daily lives. This is another solid album from a great talent. Personnel: Conya Doss (vocals), assisting musicians. Tracks: Reaching for the Stars, I Want it All, Paradise, What about You and Me?, Interlude, Don’t Change, Just Me, Letter, Here for You, Jamie (Come Back), Lost (Interlude), Where Do We Go from Here?, I’ll Say Yes. Americana. I wish the hell I could figure out what it means. Rock with twang? Country with drums? Folk electrified? Or maybe it’s just an industry label that don’t mean a damn thing. Oh, look, that was an Americana sentence. 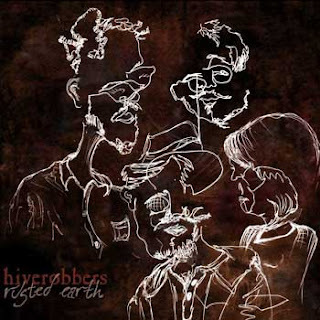 The Hive Robbers have been together since 2010, when they were the Aidan Bailey Williams Band, but apparently they changed the name because of increased contributions from the other members of the group (just as well, since the first name was awkward). 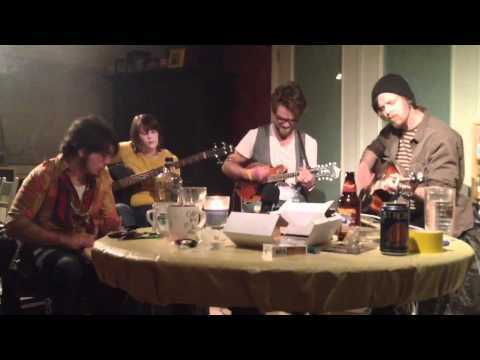 This is the Kent band’s second full-length album. They’ve been described as Americana and folk-rock, compared to the Decemberists, Leonard Cohen, Neil Young, Gram Parson, and Tom Waits. That means they’re on their way up to some sort of Americana Nirvana, I guess. Enough nonsense; let’s just take a listen to the album and go from there. 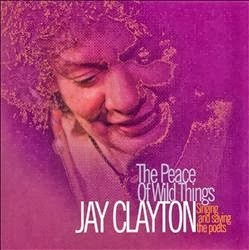 Most of the songs are quite good with solid, steady beats, strong vocals (except for the instrumental, of course), and feature some fine solo work from the guitarists, mandolinist Dykes, and Williams on harmonica. Songs run anywhere from 2:30 to 4:30 in time, so they tend towards the short side, with few extended solos and no jams. Yes, the style runs somewhere in the ballpark of all the above-mentioned artists, but isn’t really exactly like any of them. Some of the verses are a bit repetitive, and occasionally overused. I suppose they’re doing it for emotional effect, or to act as hooks, and much of the time it works, but occasionally it makes me just want the song to end. “Roll On” had that effect, but most of the others were fine. The opening track, “Light Off,” does this as well, but there it leads to the right result. What I find most curious about “Light Off” is that the lead singer (they have two but don’t identify who sings what) sounds a lot like the singer of the old classic, “Radar Love.” “Fertile Ground” is an excellent track, a real star in the first half of the album. The addition of mandolin gives the song a different feel than the first two, and the vocals are intense, reflecting the lyrical mood. The other bright light of the first half is “Water in the Night,” another intense mid-tempo song that takes best advantage of the collective vocals of Williams and Dykes. Great stuff. On “Use to Be” the singers do some falsetto howling that’s pretty cool, and the harmonica breaks complement the song nicely. The second half of the album is more diverse. “Rust” is an a cappella tune, done in a gospel style, and here, while the repetitive factor is strong, one expects it, so “it comes as no surprise” (from the lyrics). The background singers repeat the lyrics in response, and it works very well. “Bated Breath” is stylistically the opposite, an instrumental, and it a really fine tune, relying heavily on the mandolin. I enjoyed both of these immensely. “By the Docks” brings in the banjo, and rocks with a strong melody and great hooks, a highlight of the second half. “White Dove” is also heavy on the banjo, but more rocking, and rivals “By the Docks” for my favorite. The closer, “My Word,” finishes up with a bluesy intro, running into a high-octane, fast-paced burner. An excellent end to a fine album. In retrospect, I found the second part of the album to be the more enjoyable, however, I liked nearly everything, and look forward to hearing the next album from this excellent band. Look for them in concert near you. Personnel: Aidan Bailey Williams (vocals, guitar, banjo, banjo, harmonica), Jimmy Dykes (guitar, vocals, mandolin), Meredith Yeager (bass), Sam Langstaff (percussion), with various and sundry folks providing backing vocals. Tracks: Light Off, Roll On, Fertile Ground, Used to Be, Second Start, Water in the Night, Rust, Bated Breath, By the Docks, Miss Arkansas, White Dove, My Word. We are pleased to note that of our postings has reached a milestone of sorts. Back in March, we posted a review of Lou Ragland's 3-disc set, I Travel Alone. It has reached 500 pageviews, the first of our reviews to do so. Congratulations, Mr. Ragland! While this is the debut EP of this singer-songwriter and instrumentalist, it’s hardly her first musicalexperience. She was previously the front voice for the indie-folk band Tinamou, along with violinist Cameron Schenk, who appears here as well. She and Schenk apparently have played together a long time in the Cleveland area, but for this album they are joined by a batch of other musicians for a full band sound. The six songs here are evidence of a mature voice and an experienced songwriter. Mecaskey has a unique style that made me sit up and take notice right away. She mixes an indie-rock sound with folk stylings and arrangements that suggest classical training. This is several cuts above the average self-produced EP one might expect in terms of quality. Instrumentation and arrangements are sophisticated, harmonies are tight, and every song has a different atmosphere. An opening short instrumental piece is followed by “Two Men,” a song with enough hooks to get radio airplay, if it weren’t clocking at five minutes. “First Love” is a slow ballad, beginning softly, and building in dynamics as sort of a chamber piece. There’s a great electric guitar solo, and hey, I hear Beatles harmonies! The title track begins with what may be dolphin sounds, along with some warming up winds and brass that lead to another ballad, beautifully sung and played, with a similar structure to the previous tune, in building to an louder instrumental crescendo, then trailing off to a denouement. “Separate” is softer in tone than “Two Men” but also has pop hooks that get into the brain. 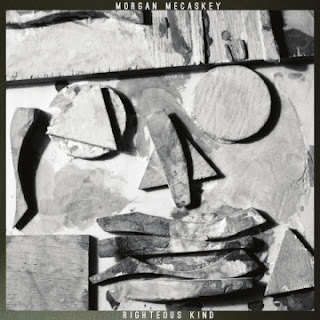 The last track is mostly Mecaskey herself, and tends to slow down to a contemplative pace. Mecaskey’s vision is eclectic, but fully formed, in the same way that Tori Amos and some other singer-songwriters have appeared. I guess the biggest thing working against a commercial breakthrough is the fact that her songs tend to be on the long side, not a great thing for short attention-span radio. But there are other ways to become known, and she should find her own path. Personnel: Morgan Mecaskey (vocals, guitars, rhodes, claps, toy piano), Cameron Schenk (violin), Matt DeRubertis (upright and electric bass), Anthony Foti (drums), Nina DeRubertis (backing vocals), Lauren Stonestreet (backing vocals), Paul Ferguson (trombone), Dave Kasper (soprano & tenor saxophones, flute). Tracks: Jacques Cousteau, Two Men, First Love, Righteous Kind, Separate, Come the Morrow.